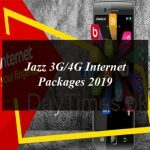 Jazz 4G WiFi Devices Packages 2018, Subscription & Charges. Jazz is offering the 4G internet WiFi devices with the seamless connectivity of internet to its customers. The cellular operator is offering the 4G internet WiFi devices including Wingle with WiFi and USB Stick with WiFi with the high speed of 4G internet connectivity in affordable monthly charges. Today you will find here the complete details or packages, subscription and charges of all the Jazz 4G WiFi Devices. All the Jazz 4G devices offering the different data packages with the different charges that are extremely affordable. Earlier we discuss about the Jazz 4G Internet Packages: Daily, Weekly and Monthly that the customers can subscribe from their sims and today customers will have the details regarding the Jazz 4G WiFi Devices Packages 2018. How to Buy Jazz 4G WiFi Devices? You can purchase the Jazz 4G WiFi Devices online or by visiting your nearest Jazz Point and retailer. After the purchase you need to make biometric verification and select the bundle you want to subscribe. Jazz customers can also have the above mentioned bundles also on Data SIM. All bundles are once off & will not auto subscribe. Jazz is now offering up to 50% bonus volume from 4th September, 2018 to the new MBB customers. Customers can get the 50% Bonus Volume on every subscription during first 90days. You can get the 50% Extra Data GBs after 01 Day of Bundle Subscription. 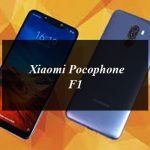 All About Jazz 4G WiFi Devices Packages 2018. 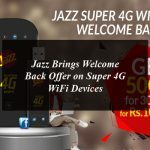 Jazz 4G WiFi Devices Packages 2018, Subscription & Charges.